Exactly two weeks today until I leave for Europe! People keep on asking me if I’m excited, but I don’t think I am yet – even though it’s coming up quickly, I still feel like it’s a million years away. I’ve been planning this for so long that I can’t quite wrap my head around the fact that it’s almost here. The falling-behind situation isn’t helped by the million things I need to accomplish before I leave, such as getting to the bank, organizing my travel, the dreaded packing (something I am notoriously horrible at…) But I did get to take a break and go to Seattle this past weekend and visit one of my really good friends. I’ve been to Seattle often, but usually for a very specific reason – we’re passing through to the airport, we’re hitting up the outlets, whatever it is. Consequently, I’ve never actually done a lot of the “touristy” things so the combination of that and good company made it a lot of fun. 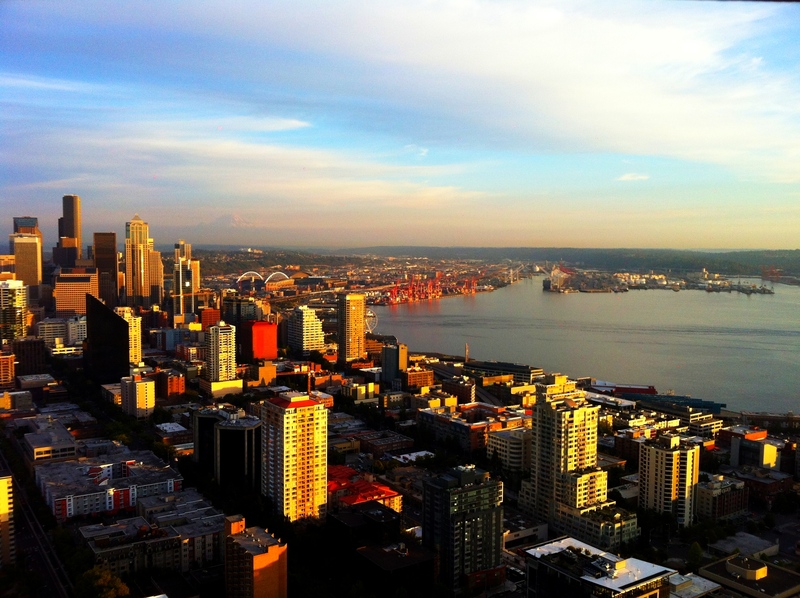 I think my favourite was the Space Needle – there was a bit of a line to get to the top, but the view was beautiful. I could’ve sat there and stared at the ocean all day (and in fact did spend quite a bit of time doing that). We also ate at some pretty good places, including a really cool place called Poppy. Dishes were served in platters called thalis, which consisted of seven small plates of different foods, so you were able to try a bunch of things. I think the best was the duck leg with peaches – I’m drooling slightly thinking about it. I think that was my only break between now and when I’m sitting on the plane, though – I can just feel the whirlwind of things-to-do-before-I-go coming. Time to go tackle some medieval literature. Fourteen days! 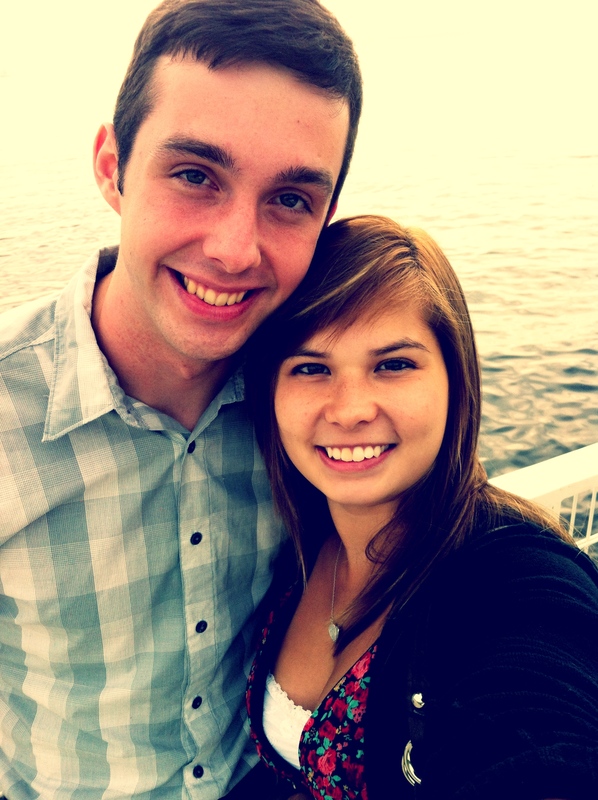 Best of luck in Europe :) love that part of the world, it’s so beautiful! 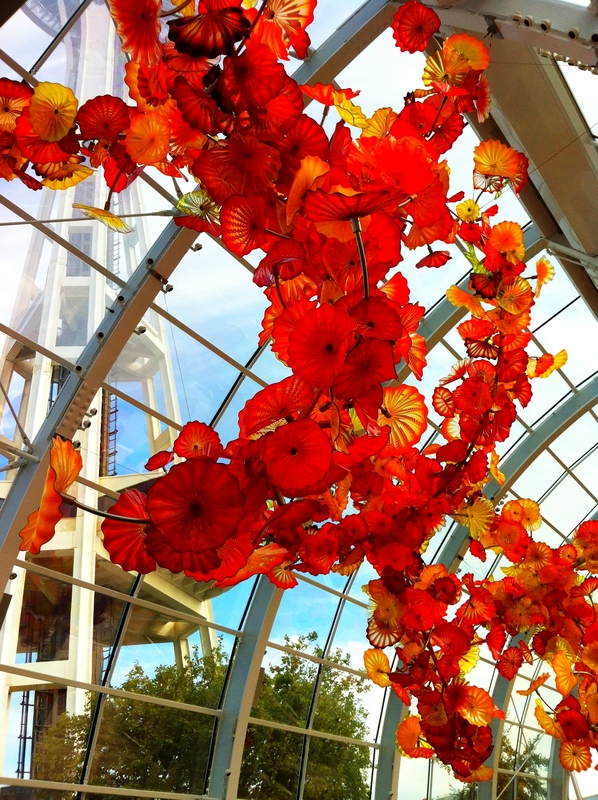 Beautiful shot of the Chihuly glass. There is an exhibition of his work here in a garden setting – it’s amazing.